Recorded at Topaz Audio Studios, Köln, Germany, June, 2014. The djose is thought to be the four-stringed Iraqi instrument, at least related to the rebab or spike-fiddle rebab and also known as the joza and the jawza. Spelling the name depends on the origin of each individual style and they are widely spread, from North Africa, through parts of Europe and the Middle East to the Far East and including China, Mongolia, Korea, Thailand and Japan. 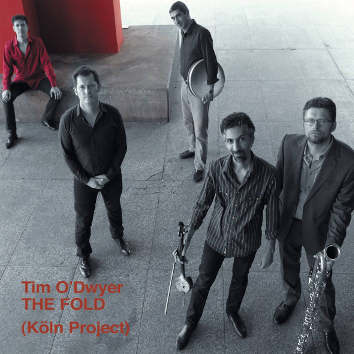 The Fold is an ongoing international collaborative project directed by Australian saxophonist Timothy O'Dwyer, Head of the School of Contemporary Music at LaSalle College of the Arts in Singapore. His background is in punk-jazz and free improvisation.